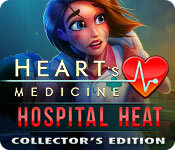 Heart's Medicine: Hospital Heat Collector's Edition is rated 3.8 out of 5 by 25. 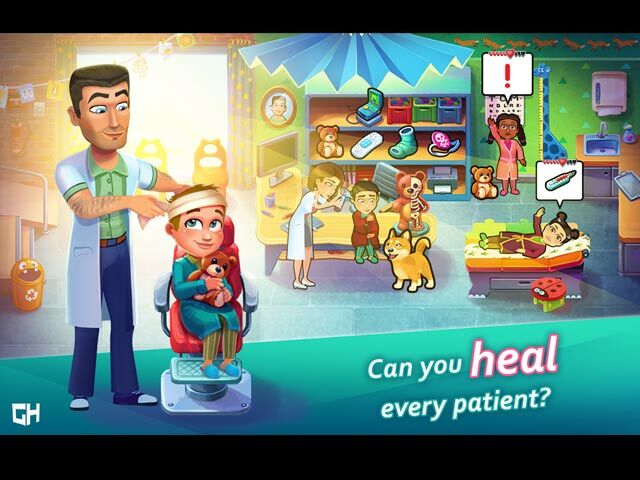 Rated 5 out of 5 by JUICEYKISSIS from I LOVE HEARTS MEDICINE ! 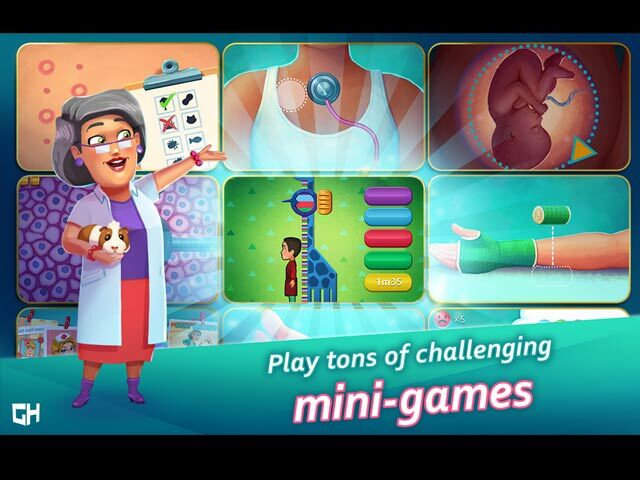 I ABSOLUTLEY LOVE HEARTS MEDICINE AND ALL OF THE HEART MEDICNE GAMES. THIS IS TRULY ONE OF THE BEST GAMES I HAVE EVER PLAYED . IM WAITING FOR A NEW EDITION / LEVEL OF GAME TO START, I WILL BE THE FIRST ONE ON LINE READY TO DOWNLOAD . Rated 5 out of 5 by Bumbles2 from The story in this game kept me going...very interesting and enjoyable !!! I really enjoyed this game mostly because of the story...and the game play is awesome !!! A whole lot of fun with this one...its basically a page-turner and with each turn of the page it will grab you and won't let you go. In short...you are a Doctor getting orientated to each floor in the hospital, You have some challenges when dealing with various patients on each wing but your biggest challenge is your Mother. I'm not going to say anymore or I'll spoil it for you !!! An awesome game and well worth buying...I highly recommend this game and if I could I'll give it a 20 star rating !!! Have fun everyone !!! Rated 5 out of 5 by chibiclaraklein from It's a game and a soap! I really like time management games and Delicious is my favourite game series ever, so I really like playing similar games or spin-offs to that. This game is great, the level of challenge is just right, the story is gripping and the characters are very lovable... The soundtrack is another bonus, done really well and with soap like tunes! I can't wait to play the next one! Rated 5 out of 5 by beestitcher from Very Enjoyable Game What a great game! Just the right amount of challenge - not too easy, not too hard - but challenging enough I worried about getting all the achievements. Love the story. Written for adults which I appreciate. I'm anxiously waiting tor the next release. I love how all the characters in the Delicious, Heart's Medicine, Angela's, and all the various new games(Cathy's Crafts, the pet one, Maggie) interact. I'm hoping BFG gets Sally's Salon soon so there will be one more. Rated 5 out of 5 by ringcat from great game I like this game, enjoyed the first series they had out and purchased this series and have enjoyed both the game play and story line. Rated 5 out of 5 by VioletMommy from Download it I normally dont write reviews aboutgames, but this was excellent! Fun, challenging, but not too much so that it was unenjoyable. i liked that you can continue to upgrade. Rated 5 out of 5 by ckmsing from Love this series! I'm not sure why this game doesn't have a higher rating. 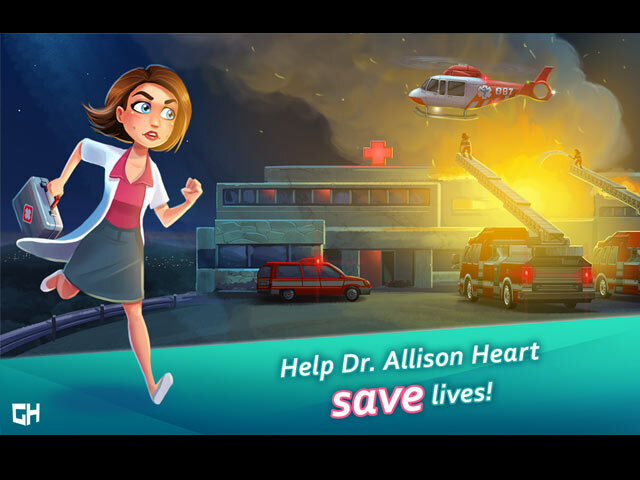 I love the Heart's Medicine series because it can be challenging to get three stars on expert. Similar games that are way too easy aren't fun at all! Love working in different areas of the hospital. I just wish that you chose your difficulty at the start of the game...I was 2/3 through it before I realized you had to hit menu to choose your difficulty. I would have played expert right from the get go. Can't wait for the next one! Rated 5 out of 5 by Princess_Vivi from I LOVE IT! Everything I expected. Team Game House/Blue Giraffe never dissapoints. Eye catching design, and fun story line as usual. This game will keep you occupied for days.Just enough challenge for seasoned time management player, but not something beginners can't handle. Great variety of mini games, nothing is on repeat. Can't wait for the next part. Rated 5 out of 5 by Kyothecat from Creators read this please I like time management games but am not good at them. I buy them and always play beginner/easy. If I want a challenge I'll play normal. You are making games so hard now its pitiful. I'm not spending hours to try to get a diamond on one level. Or stars. I'll never be able to finish Alli's room because I can't get the diamonds. On BEGINNER!!! This has never happened before. At this rate I'm done with this developer. No more Fabulous Angela, Delicious Emily, Heart Hospital and their new pet vet one. I don't buy games to be frustrated. This makes me sad for I enjoyed these games up to now.